The Tiimes published quite a negative article focussing on a young man fighting with the YPG, and alleging that he had autism and was ‘lured’ to Syria! 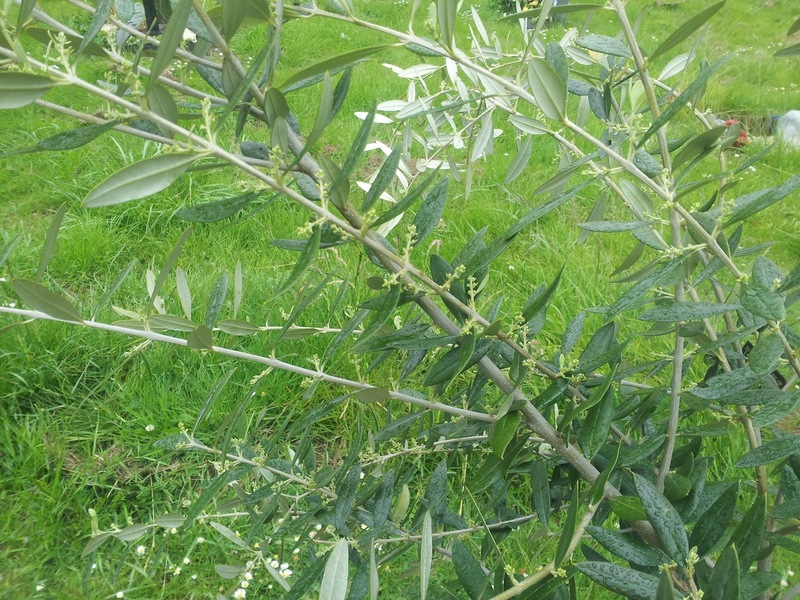 The olive tree planted on Kosta’s grave is growing. This is an interesting article and it is really encouraging to see that the local MP cares enough to take a personal interest in constituents’ issues and that you care enough to report on them. However there are some assumptions that I feel should be challenged and some errors on the part of the MP that I also feel should be corrected. First of all the implication in your headline, that because this lad is autistic he is automatically vulnerable and incapable of making up his own mind is rather troubling. It also seems as if you are defining him by his disability, (and there is some doubt about whether he has autism. It appears he was diagnosed when he was nine years old and then was told that he didn’t have autism when he was seventeen- personal communication with his mother). Did you actually try and contact the lad himself to ask him for his opinions? If you have to use this lad’s disability in an emotive headline why not: Autistic man joins fight against ISIS to protect humanity? Or better still go for Newark lad stands up for British values and resists ISIS alongside Rojavan Kurds. Please don’t diminish his courage because of his disability. Second, put simply, the Peshmerga are the fighting arm of the Kurds in Iraq mostly. The Kurds in Iraq are a patriarchal, tribal based society. The YPG is the male fighting arm of the Kurdish people in Northern Syria (Rojava). In contrast to the whole of the rest of the Middle East these Kurds are working towards a democratic society and have active gender equality, freedom of religious expression and active pro-gay rights policies among others. There definitely seems to be some confusion in the mind of the MP and in many media reports between the two different countries. Perhaps it would help if everyone could get that straight for a start. If the MP is indeed asking the British government to ask the government of the Peshmerga to stop people joining the YPG then that’s a bit like Italy asking France to stop people joining the British military in Catterick. The YPG (or Lions of Rojava) have a vetting system when they recruit and if they think that a recruit is in any way a liability or vulnerable they would either not allow them to join or would send them back. They are, indeed, trying to do this with the actor Michael Enright. If this lad’s mum feels that her son is at risk then she has a way of contacting the YPG and asking for him to be sent back. It is my experience that they would do this at once since they value every human being and try very hard not to have losses. A liability or a loose cannon on the battlefield would put their own people at risk. In addition this lad must have passed the one month training the YPG gives all its members or he wouldn’t still be there. This indicates a certain level of capability on his part. Finally I note that the reader is told that Britain stands shoulder to shoulder with the ‘brave Peshmerga’. Indeed, are these the same brave Peshmerga who abandoned the Yezidis to ISIS so many months ago? The Yezidis who were rescued from Mt Sinjar by the YPG including the foreign lions like my son (Erik also saved someone’s life and carried him off the mountain to safety)? The Yezidis still remember the foreign lions who helped save them. As we’ve already established, the YPG are not the same as the Peshmerga and so far there is little to no evidence that Britain supports the YPG at all. Little to no aid is reaching the refugees from all minorities societies, who have found sanctuary in Rojava with the Syrian Kurds. There is no aid for the rebuilding of Kobane and other cities destroyed by ISIS. There are no weapons reaching the Rojavans, not even night vision goggles or defensive items. Yet these brave men and women still fight, in trainers and home-made armoured vehicles. They fight against an invading militia that is made up of British citizens, Iraqis equipped and trained by us who have defected, as well as other people from all over the world who share their terrible ideology. Then you ask why our lads feel they need to go out there and imply that they have been lured. Seriously? If your readers and any MPs want to find out more about the situation in Syrian Kurdistan and the fight against ISIS then they can visit www.kostasolivetree.blogspot.co.ukfor the links along the side of the page. 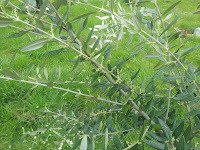 They can also join my campaign called Kosta’s Olive Tree (look for the group on facebook), or sign the petition if they wish to make a difference. My campaign does NOT call for boots on the ground. "They are usually intelligent, gifted, honest, hard workers when interested in a task and excellent problem solvers"
Then he clearly possesses many traits that the author of the article should have but does not. Thanks for the reply and the link. 🙂 You're right!